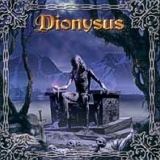 Dionysus is a Swedish/German power metal band created in 1999 by Sinergy's drummer Ronny Milianowicz, with Luca Turilli's vocalist Olaf Hayer. 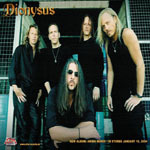 The Dionysus debut album Sign of Truth was recorded in “Studio Fulda” in 2002, which is best known for its productions with Edguy and Avantasia. The album was produced by Tobias Sammet and mixed by Tommy Newton (Keeper of the Seven Keys, Part 1 & 2). 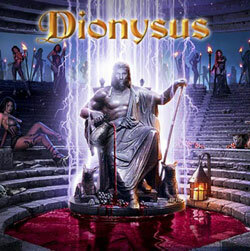 Dionysus second album, Anima Mundi ("the soul of the world" in latin), was released in 2004. 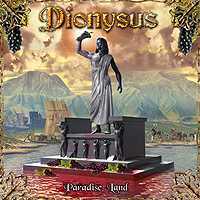 Dionysus also works closely with Hammerfall singer Joacim Cans. Ronny Milianowicz did the backing vocals on Legacy of Kings, and Joacim wrote the lyrics in “Bringer of Salvation” and “Bringer of War”. Ronny and Joacim also work together on a number of different projects, including the musical “The Conspiracy”. 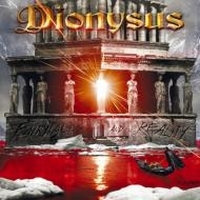 Dionysus' third album is called Fairytales and Reality, it's released in Europe since September 15, 2006.